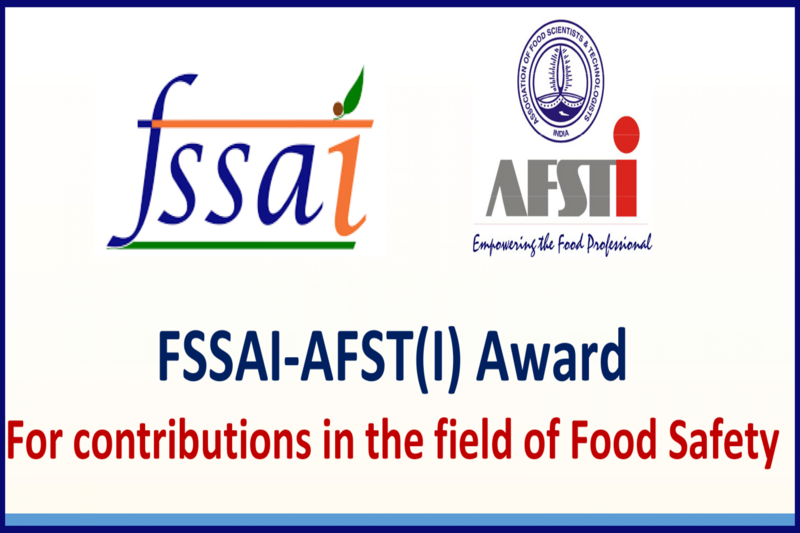 Food Safety and Standards Authority of India (FSSAI) and Association of Food Scientists and Technologists (India) [ AFST(I) ] has introduced the FSSAI-AFST(I) award for the contributions in the field the of Food Safety. The award is instituted to encourage distinguished Scientists and Technologists for their contributions in the area of Food Safety. Applications / Nomination are invited from Government / Private / Semi Government Sector/NGOs personnel. 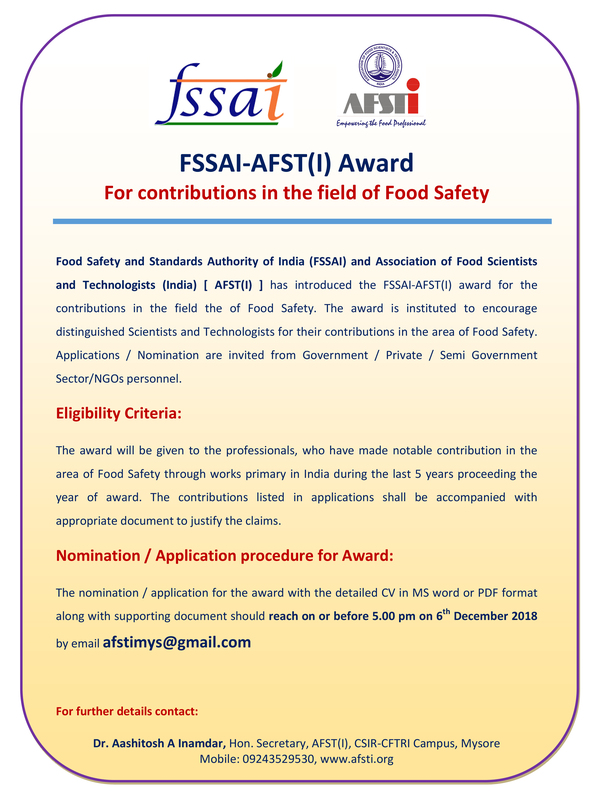 The award will be given to the professionals, who have made notable contribution in the area of Food Safety through works primary in India during the last 5 years proceeding the year of award. The contributions listed in applications shall be accompanied with appropriate document to justify the claims.